Celebrity Cruises offer a range of itineraries to many destinations, including Alaska, Asia, Australia, Bermuda, Canada, the Caribbean, Europe, Hawaii, New Zealand, the Panama Canal and South America with cruise lengths that range from 2 to 18 nights. 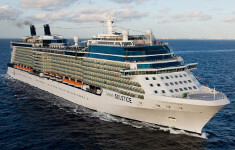 Celebrity Cruises offers cabin accommodations – Interior, Balcony, Ocean View and Suite. Varied Dining Options in main dining room through to Signature Restaurants, personal service and spa facilities and a wide variety of facilities, activities and award winning shows and entertainment. Celebrity Cruises offer reduced single/solo fares on selected cabin types. 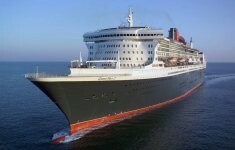 Three great Cunard ships – Queen Mary2, Queen Elizabeth and Queen Victoria. From the pleasure of a well-placed library armchair with a fine ocean view, the freedom to enjoy a wide variety of restaurant and bar experiences, to the possibility of a revitalising morning run on the promenade deck, throughout our ships you’ll find thoughtfully designed open spaces or quiet corners for you to enjoy. Our ships offer more space for you to be you, whether that’s relaxing in your spacious stateroom, sampling pre-dinner cocktails in the Commodore Club, or enjoying the conversation over dinner in the Britannia Restaurant. Cunard has long attracted solo travellers to its traditional cruise ships and ocean liners, and the convivial onboard atmosphere means that solos can easily make friends with their shipmates if they choose. Cunard assists solo passengers who wish to dine solo, but this depends on how full each voyage is. In general, solo travellers are assigned to tables with other singles. Royal Caribbean International offers a range of itineraries to the destinations, including Alaska, Asia, Australia, Bahamas, Bermuda, Canada, the Caribbean, Europe, the Panama Canal, South America and New Zealand with cruise lengths that range from 2 to 24 nights. Royal Caribbean International offers various options for on board dining, entertainment and other on board activities. 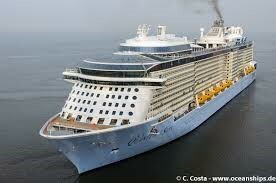 Royal Caribbean International cruise ships are some of the most technologically advanced cruiseships. 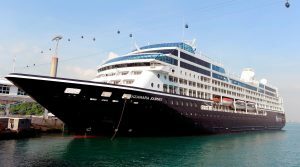 Most ships feature great on board activities and facilities and the latest international Broadway shows. Singles and Solos: Quantum of the Seas and Anthem of the Seas features two categories of staterooms 28 dedicated “studio” cabins on each ship. The line currently offers three single-occupancy interior staterooms aboard the Radiance of the Seas, Serenade of the Seas and Brilliance of the Seas; each room has a twin bed, private bathroom and mini fridge. Single Stateroom on the Ovation Of The Seas – Single full size bed, full bathroom and private balcony. Single occupancy stateroom, no single supplement required. Can sleep up to 2. MSC Cruises’ 14 ships boast a host of cutting-edge innovations and the latest technologies, and its global fleet is one of the youngest at sea. MSC Cruises is the first global cruise line brand to develop an investment plan of such length and magnitude, spanning an horizon of over ten years.